All drivers on Missouri roads are required to follow the rules of the road. The rules of the road are important because they keep us all safe, they help maintain order out on the roads, and they protect us all from injury and/or death when followed. 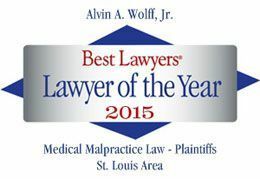 While our website says we handle car accidents, our car accident lawyer in St Louis does not believe in accidents. We handle all types of car crashes. A car crash is not an accident in most instances. It is likely that prior to the crash in question, the at fault driver violated one, if not several, rules of the road. Had the at fault driver followed the rules of the road, the crash could have been avoided, and no one would have been injured. We work hard to make sure that rule violators are held responsible for their choices and fully compensate those whom they injure. Alvin was beyond helpful in navigating the stress of our insurance claims post-accident. He negotiated on our behalf and pushed back to get us the compensation we deserved. Beyond just advocating for my best interests, he took the time to make sense of 2+ years of complicated medical records, appointments and diagnoses and worked to understand them and their implication on me in the future and what I would need to take care of myself. Alvin was super accessible to us when we had questions or concerns, even when they were somewhat of a stretch or unrelated. He also was helpful in explaining what additional avenues we had for reimbursement. His guidance and honestly throughout the process, allowed us to finally feel like there was some light on the horizon and I have a hard time believing that any other lawyer would take the time and care that Alvin did or that we would've seen such a positive outcome if not for Alvin. Listen to a podcast we recorded about distracted driving and what to do if you are involved in a car crash! What to do if you are hit by a Distracted Driver from TheOpenSource.Club on Vimeo.